A film is skillful when it can invoke great emotions from its audience. Moonlight is equally skillful in pushing the audience until they feel numb. This is an artful depiction of life at its worst; not through unforeseen tragedy, but rather the crushing weight of the world. This perspective of Miami is fresh, compelling, and visceral. Chiron (Alex Hibbert) is nicknamed ‘Little’ by his peers. He is ten years old, wandering crack houses by himself, running from the kids that make him feel small. Chiron (Ashton Sanders) is a teenager frequently bullied by Terrel (Patrick Decile) and his addict mother Paula (Naomie Harris). He struggles with his attraction to his best and only friend, Kevin (Jharrel Jerome). Chiron (Trevante Rhodes) is called ‘Black’ by those on the streets of Atlanta. Years of abuse have hardened him; he finds himself trying to reconnect with home after a decade away. Moonlight is not a story about an event or a happening. Moonlight would not be considered a story by the classic definition; it has no clear beginning or ending, and it does not focus on a specific situation. It is not accurate to call Moonlight a film about the exploration of sexuality. Much alike, neither can one pigeonhole the film into the theme of drug abuse. Ultimately, this is not a film about sexuality, or drugs, or violence, or poverty. 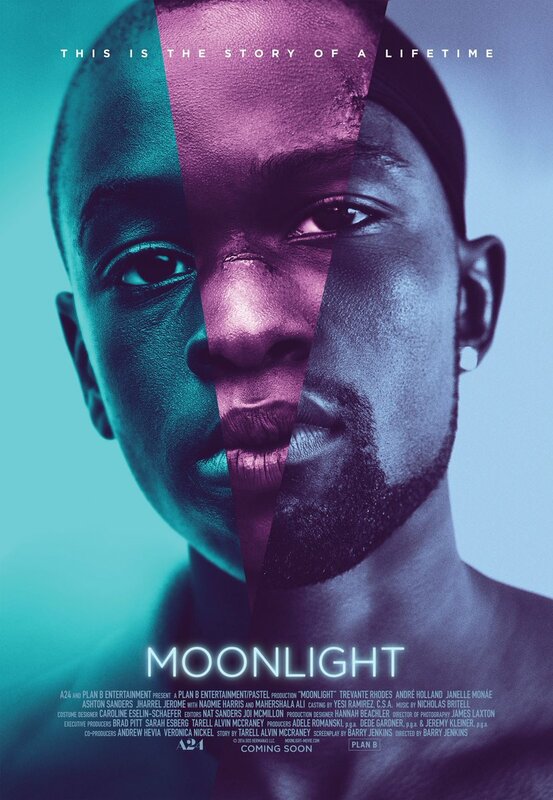 Moonlight is a painstaking journey into the life of Chiron, an extended character study that is slow and methodical. It presents a truly balanced ensemble; characters change actors with age or leave after their relevance has expired. The film splits into three chapters that cover the differing periods of Chiron’s life. The first act, in his identity as Little, starts as a slow burn to a large payoff. Drug dealer Juan (Mahershala Ali) finds the ten-year old wandering in an abandoned motel, refusing to speak. Little is an exercise in the limit of how much an actor can express through their eyes. His mother and his peers have pushed him into silence; even at this young stage, he is a poster boy for the thousand-yard stare. Even his friend Kevin tries to nudge him away from his softness. Juan and his girlfriend Teresa (Janelle Monáe) present an escape that allows Little the avenue to find himself. Despite struggles with his own ethics as a drug dealer, Juan provides Little with acceptance and a place to grow. Juan teaching Little how to swim in the ocean defines the core of the film; it is just one small event, with an impact that spans a lifetime. 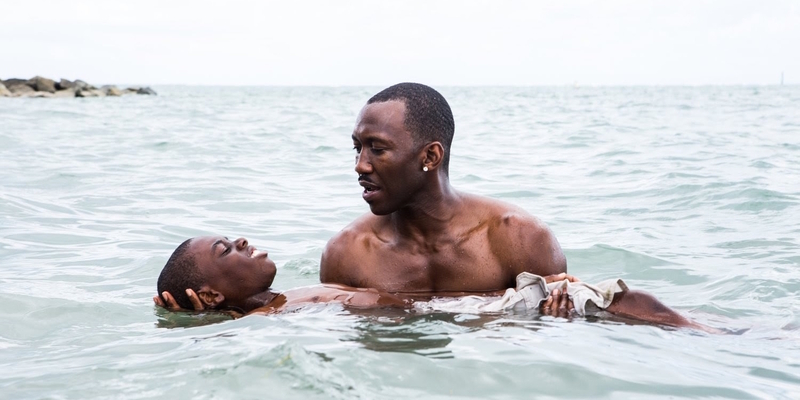 Mahershala Ali is the only actor that can stake a claim to influence throughout Moonlight; he defines the course of Chiron’s life, and his impact far outlasts the limits of his screen time. The nature of life is that the world continues around the little positives that Chiron finds in his life. The bullying has only worsened in intensity as he has grown into a teenager. His sexuality is just one bullet of ammunition at Terrel’s disposal; Chiron is a target because he is soft-spoken and not traditionally masculine. Most of all, his peers victimize him because he is unusual, because he is an outsider, and because he is different. Kevin represents the pinnacle of his confusion; Chiron’s nightmares consume his thoughts, and he is haunted by the ambiguity of just how far his relationship with Kevin goes. His nightmares and hesitations become reality, and the second act builds to a crescendo the film rides to the close. Shifting pace, the final act of the film sets a new meaning for the term ‘slow burn’. Chiron, now going by the name ‘Black’, travels down from Atlanta as an adult man. The influence Juan has had on him is clear; there is nothing of his younger self immediately apparent. This final act is an exercise in closure; finally, after many years, Black is coming to terms with his past. He and Kevin reconnect, and Black opens up those emotional vulnerabilities he’s denied for so long. The film ends just as it feels it could go on for longer; yet, it ends in exactly the place it needs to end. All things considered, there are many things that could be said about Moonlight. The film encompasses more themes over a short period of time than most films would dare to attempt. Some never find full conclusion, and some are barely brushed upon. Moonlight is a film about youth, love, drugs, identity, and acceptance; it is a film about all of these things, none of them, and more. Moonlight is the story of life itself, told in exceptional form.